Washington Sep 14 (IANS) In a step that commercialises space travel US private space firm SpaceX on Friday announced that it will send the first private passenger to Moon and will reveal his identity on Monday. The tourist will fly in the Big Falcon Rocket (BFR) being designed to carry people into deep space the Elon Musk led company said in a tweet. "SpaceX has signed the world s first private passenger to fly around the Moon aboard our BFR launch vehicle -- an important step toward enabling access for everyday people who dream of travelling to space. "Find out who s flying and why on Monday September 17 " the tweet said. 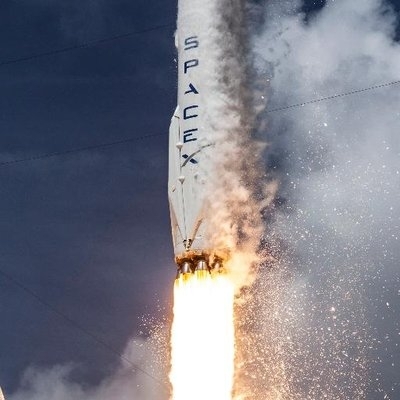 "SpaceX will probably build 30 to 40 rocket cores for 300 missions over five years. Then the BFR takes over and Falcon retires. Goal of BFR is to enable anyone to move to Moon Mars and eventually outer planets " Musk had said in May. Only 24 humans have been to the Moon so far and no one has visited since the 1972 Apollo mission. However it was not clear whether the BFR tourism mission has any link to an announcement SpaceX made in February 2017 the CNN reported. At that time SpaceX said two people signed a deal with SpaceX to make a trip around the moon aboard a Falcon Heavy rocket. SpaceX was tight-lipped about the financial terms of the deal and the identity of the individuals. In February SpaceX debuted the long-awaited Falcon Heavy which became the world s most powerful operational launch vehicle the report said. But during a Falcon Heavy press conference earlier this year Musk told reporters that for the time being SpaceX had no plans to certify the Falcon Heavy for human spaceflight. Instead Musk said SpaceX would turn its focus to developing the BFR which he deemed a better option for tourism missions. In December 2017 US President Donald Trump also issued a directive to "lead an innovative space exploration programme to send American astronauts back to the moon and eventually Mars".